How to get a Brother DCP-350C scanner working? 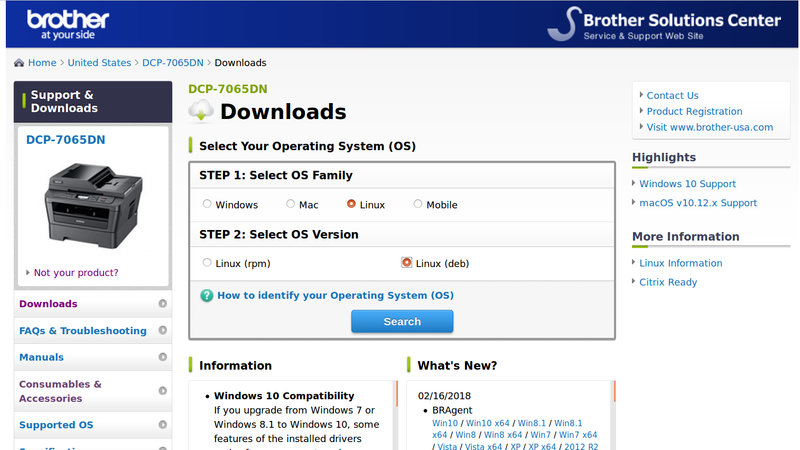 Downloaded and installed the linux drivers from the Brother site here. But the scanner still wasn't recognised. 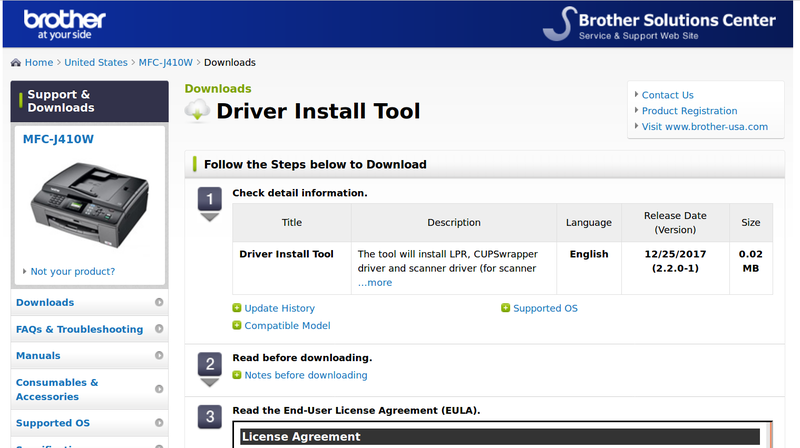 When I open Simple Scan, it tells me I have a Brother scanner but that I need to install the drivers. Brother seems to have removed the linux o/s config instructions from its support pages - i.e. here and here, which had been the source of earlier solutions to this problem given here and here. The OS support information page in its FAQS and Troubleshooting section refer only to Windows and Macintosh. If you look elsewhere, you will find a page of linux information. 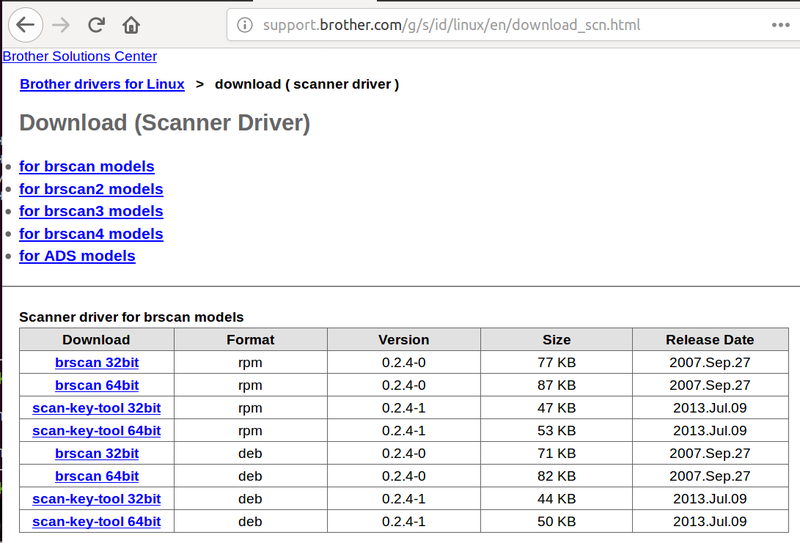 It says "The Brother Linux scanner driver works only with a superuser by default". It points to a page where it says is given the means to make the scanner work for non-sudo users - perhaps, then, SimpleScan. That page contains fix downloads for numerous OSs, but nothing later than Ubuntu 13.10. Downloading and installing that file all the same does nothing to make the scanner work. If you grub around long enough you will find there is a linux troubleshooting FAQ after all - just not in the place where you would expect to find it. Getting this Brother scanner to work is like threading a needle in a wind tunnel. The first item on the linux FAQ is 'I'm using Ubuntu 16.10. I cannot scan from my Brother Machine'. That is close enough. It says 'Install libusb-0.1-4'. (The Brother driver had dependencies but it did not bother to check them). I do have this usb lib installed already anyway. One of the earlier solutions (for a different Brother scanner - and the Brother support page with the solution has since disappeared), is quite helpful. It says to put a line in '/lib/udev/rules.d/40-libsane.rules', though in fact it should, on my 16.04 at least, be /lib/udev/rules.d/60-libsane.rules. And the line it asks you to add includes a reference to a product ID for a different Brother scanner. Looking on the sane website for a DCP-350C product ID (it wouldn't be DCP-350C -- that would be too easy -- the earlier solution is for a DCP-7030 and that has a product ID of "01ea")... so where were we?... looking on the sane website for a DCP-350C product ID. The sane page for Brother scanners has no entry for the DCP-350C. It says if your device isn't there it's not supported. It says the page was last updated on Oct 05 2003. That's fourteen and a half years ago. I believe the 350C came out a few years later, in 2007. And restarted the machine. This did not work. I also moved some files the Brother intsall routine seems to put in the wrong place - at least, according to reports elsewhere such as here. That involved copying Brother files from cp /usr/lib64/ to /usr/lib. (I had downloaded and installed the 64-bit version of the Brother driver). Another tip was to actually run the brscan-skey file that is offered as download with the driver, by simply entering brscan-skey at the command line. However, SimpleScan still says no devices are recognised. Also, Brother says that brscan-skey allows scanning to be performed from the scanner's own console, using its 'scan-to-file' and 'scan-to-image' options. When I do so, the scanner says 'Connecting to PC', but nothing more happens. I can get the 350C to scan when I call it from a trial version of a commercial linux scanning tool called VueScan. But the trial version puts water marks across the scanned image, making it useless to me. Moreover, the full version is expensive, and demands an annual subscription. And I only came across it while trying to find a way to get SimpleScan to work - or indeed, any open source scanning software. The point is that VueScan just works. (But it does so in a way that leaves the scanner dysfunctional to other tools). It proves the scanner can be used with open source tools on Ubuntu. The question is how. Also you have a generic cups-wrapper where as mine is model specific. Much of the long answer is trial and error. You need only follow Step 1, Step 2, the first part of Step 3 (stop at selecting scanner only). Then skip down to Step 6 and Step 7. I have a Brother DCP-7065DN which is a nice monochrome double sided laser printer. I've had it for three years but have never used the scanner feature primarily because "whose got paper to scan in an electronic world?". Due to your question I thought it was time to get the scanner function working. 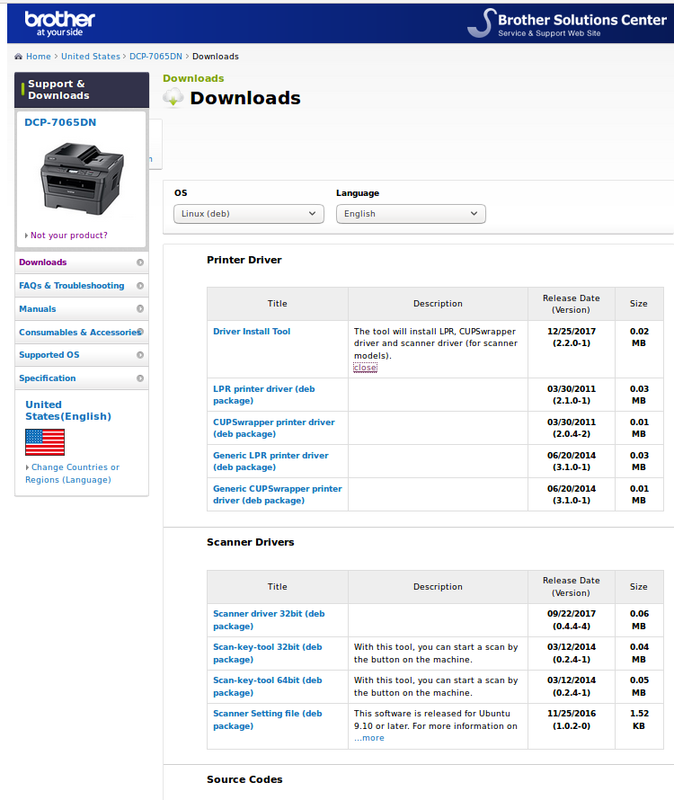 According to this post in Ubuntu Forums the same Brother Driver tool works for both your DCP-350C and my DCP-7065DN printer. Notice the Release Date is Christmas 2017, only a few months old. 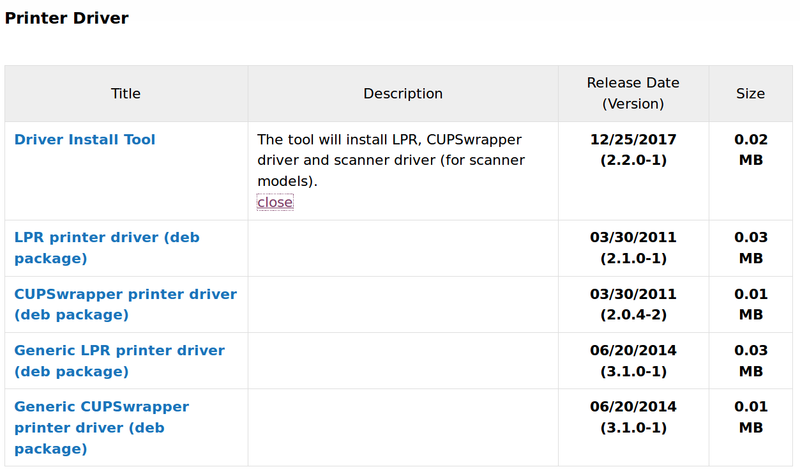 Rather than repeating your steps I'll start a fresh install (of the scanner only) using the Ubuntu Forums link above. 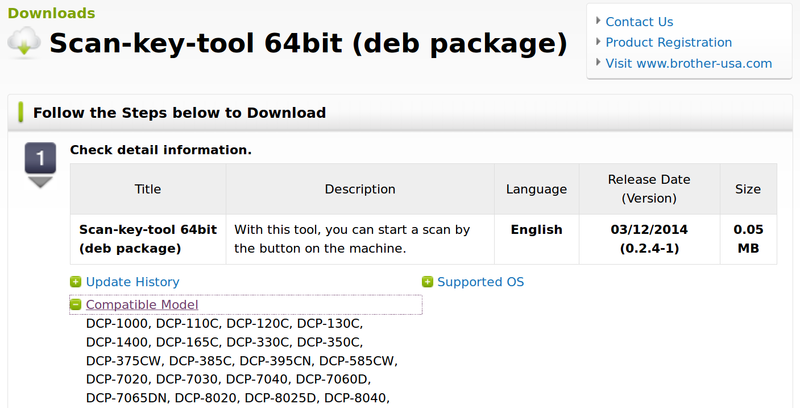 I'll click on DCP-7065DN. You would have already selected DCP-350C on the previous screen shot. After selecting the printer model you are asked for your OS. It defaults to Linux and ".rpm". The default is ".rpm" which stands for Red Hat or Arch Linux or something like that. Change the distro to ".deb" which stands Debian which is really Ubuntu. The model icon in the top-left corner should be DCP-350C for you but it is DCP-7065DN for me. Here we need to select the architecture: 32-bit or 64-bit. I've read a 32-bit driver won't work on my 64-bit arch so I'm only going to download #3 & #4 for now. I may come back and grab #1 if I need the driver? ...So assuming all works well for me it should all work well for you! You need to agree to the EULA (End User License Agreement) and then download the .deb file. Notice the date is only a 6 months old! Notice this the version number is different than yours! Selecting previously unselected package brscan4:i386. Selecting previously unselected package brother-udev-rule-type1. Ohh No! Error on the last line. Now it's time to post this answer as is and reboot. Interesting that there is more than a million files on my system. Those 25 kernels add up over time. So far, so good. The answer (no long sure if it's sure valid) says you need to put brscan-skey into your Startup Applications and you need gimp installed. Comment below if you need help doing this. Sounds scary but regular user couldn't find a scanner so let's see if sudo does. Select Continue at your own risk button. After window greys out for a few momments the same response as regular user appears: No devices available. Well at least there is communication between scanner and computer because gimp started up automatically. I never rebooted after installing brscan-skey so do it now out of hope / desperation. Change option from Open to Save! Uh-Oh... It's selecting brscan4-0.4.4-3.amd64.deb but earlier I had installed brscan4-0.4.4-4.i386.deb which was a newer version but the wrong architecture. This could explain the errors I had! Select y to proceed. Big license agreement pops up. Select y to proceed. Another license agreement pops up. Select y to proceed. The script runs apt install on it's own. 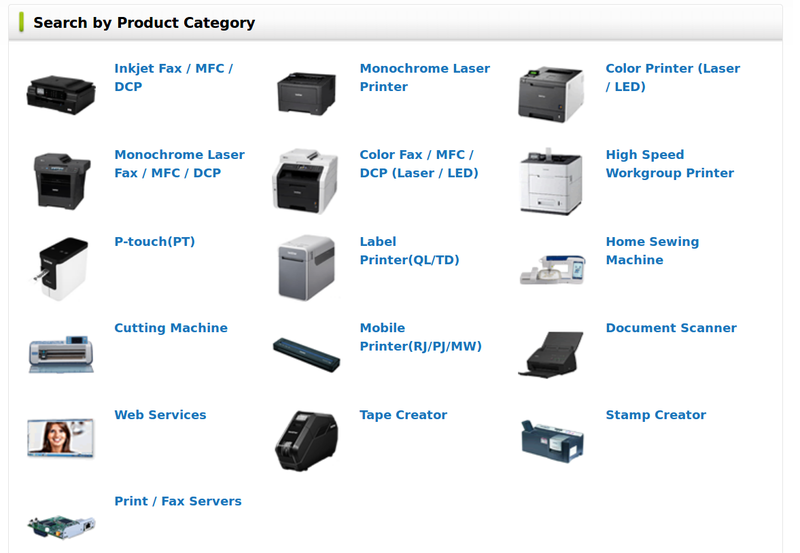 For yours and mine USB Printer we select n.
Next it prompts for a test print. To kill another tree select y. Yeah the test print works and I now have a printed page I can scan later! A third big license agreement now appears so, select y to proceed. It's all finished so reboot. I had a similar problem with brother printer/scanner MFC-J625DW. Type the following command if the above directory exists. download, unzip and run script for your device from support.brother.com (this installed all necessary packages for my device) Follow all instructions on that site. I think I solved this problem finally by using the Brother driver installer. The problem seemed to be that the Brother website was directing linux users from its 350C page to old versions of its drivers and installers. That inevitably led me to descend into a frightening netherworld haunted by old forum posts that recounted other people's past horrors attempting to get their Brother scanners working. The posts here helped haul me out. But really the answer was simply to get the right Brother installer in the first place and ignore all the other advice. Although, having said that, I tried such a wide variety of fixes, many of which seemed to have some sort of partial success, that it is hard to say for sure what got it working in the end. Not the answer you're looking for? Browse other questions tagged drivers scanner brother sane simplescan or ask your own question. Brother MFC-L2710DN printer and scanner for Ubunto18.04 - How to install? How do I get the Brother DCP-135C scanner to work? How to install the scanner of Canon MF4750 multi-device? Scanner Brother dcp-1510 - Sane?